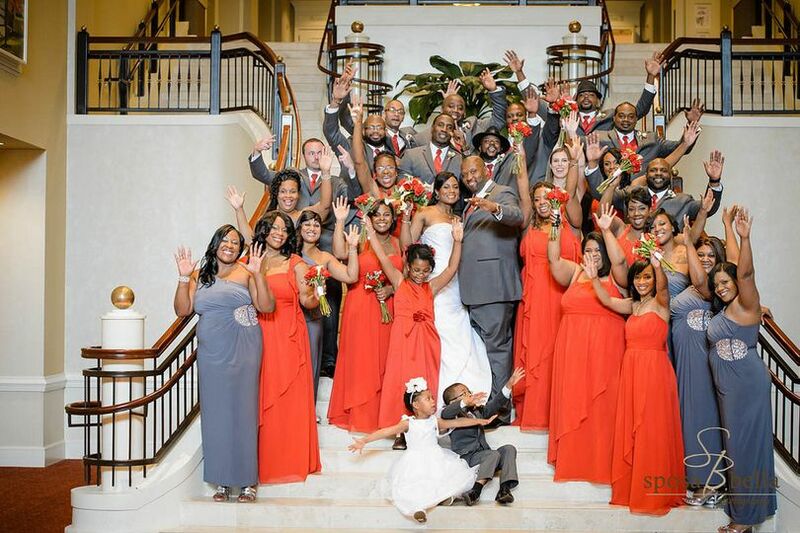 Spartanburg Marriott is an elegant hotel and wedding venue located in Spartanburg, South Carolina. They pride themselves on their experienced event planners, flexible spaces and creative food and beverage options. 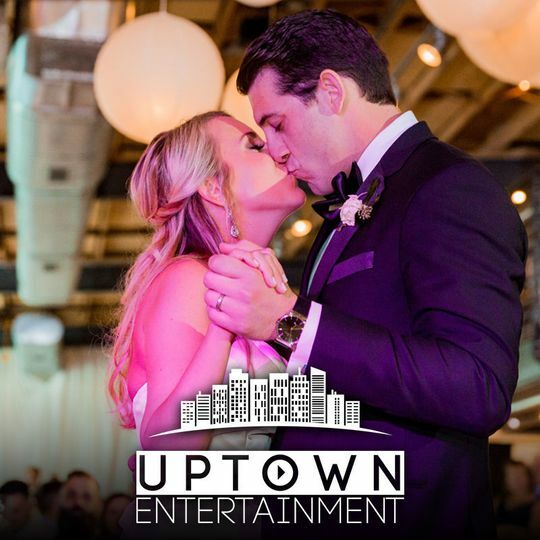 Their goal is to bring your unique vision to life, while making your wedding unforgettable at the same time. 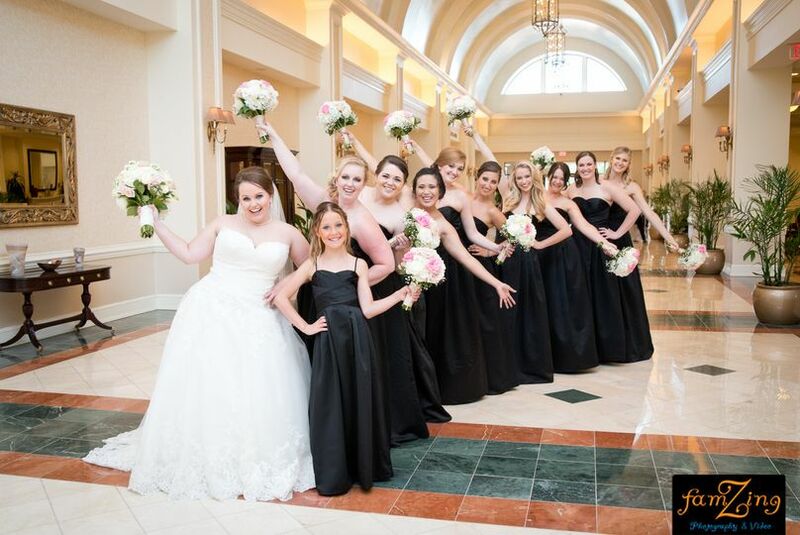 Spartanburg Marriott offers couples and their guests warm Southern hospitality, multiple packages to choose from and all the services and amenities you need to make your special day a success. Couples can accommodate up to 2,000 guests at this modern hotel. 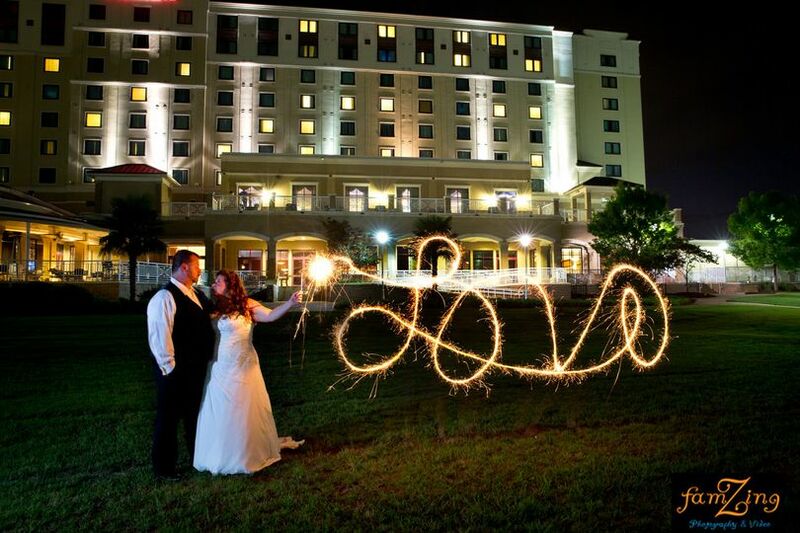 They offer 30,000 square feet of both indoor and outdoor event space that can be used for your ceremony and reception. 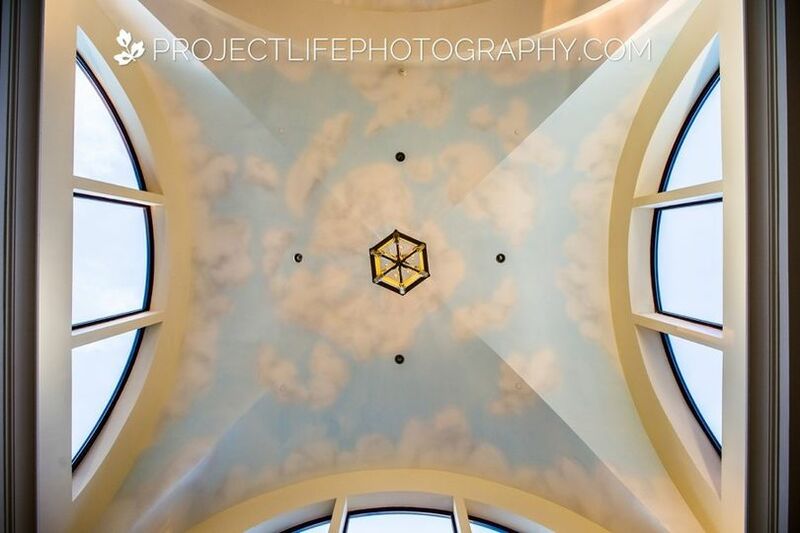 They have 27 event rooms to choose from, including their spacious Heritage Ballroom. This elegant room is perfect for lavish affairs, as it can hold up to 1,334 guests for a cocktail-style reception. This unique space can also be broken down into smaller rooms for more intimate celebrations. 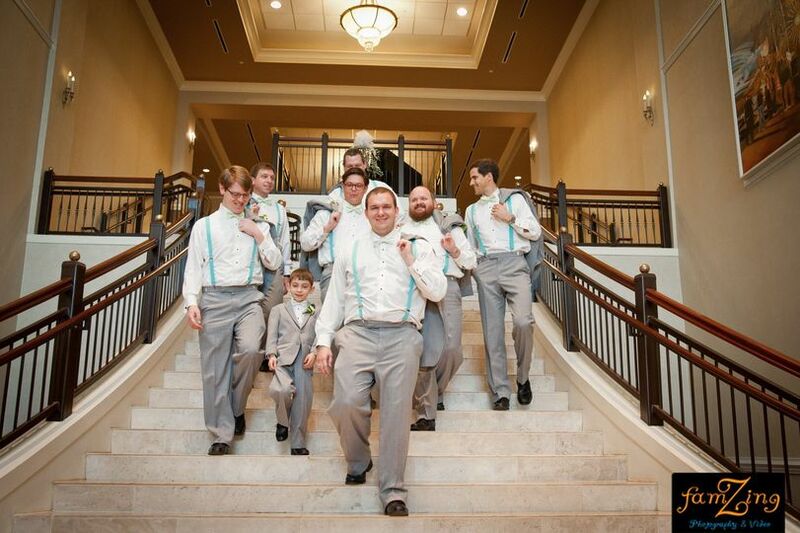 For your ceremony, you have multiple options to choose from. 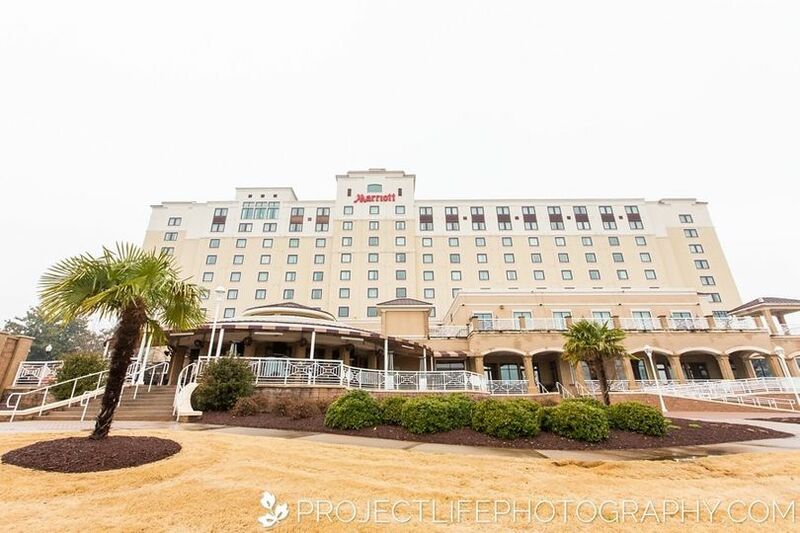 If you want to say your “I do’s” outside, you can choose the Lower Terrace, Croquet Lawn or Azalea Ballroom Terrace if you're having your reception in the Azalea Ballroom. 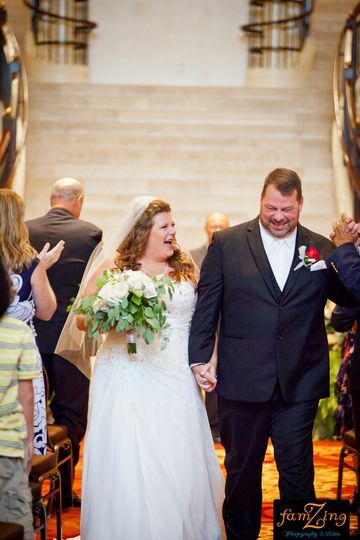 For an indoor wedding, they offer their Grand Staircase, Wadsworth, Croft, Dogwood and Daniel Morgan Rooms. To begin, it took my family and I forever to finally pick a place. We went back and forth several times and finally it came down to the Marriott and another place. We made comparisons and decided the Marriott was our best bet (oh and by the way we only used them for our reception site). So we finally made a down payment and we got to work with the best Wedding planner, Megan Peevy. Not only is the Marriott in Spartanburg so beautiful, you get a few perks as well. I'm not going to lie, it is kind of pricey, but you get A LOT out of what you pay for, which includes some perks for the bride and groom. The place is just fabulous looking inside and out, with a beautiful mural on the ceiling when you walk in and a grand stair case that just makes your heart melt. The rooms they use are huge and so pretty and can easily be customized. So, yes it is pretty, but we worked with Megan and she was so great. She did everything in her abilities to make us happy and she was so friendly and professional. She was informational, but willing to work with us when needed. It was so awesome working with her! Everyone was just amazing to work with and they made sure my day was perfect. I loved this place so much and I have no complaints whatsoever. I definitely recommend them! she was very responsive,accommodating and prompt and timely response to our questions and need. hotel was great, looked beautiful,got lot of compliments from friends and families. Tiffany was GREAT about any, and EVERYTHING!! One our Spartanburg favorites! Great staff and beautiful facility! Can&apos;t go wrong here if you&apos;re looking for a venue in Spartanburg! Beautiful location for a wedding reception! 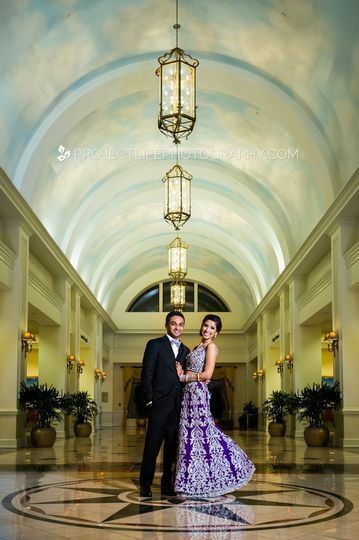 I absolutely love the lobby area for formal portraiture. Very elegant!